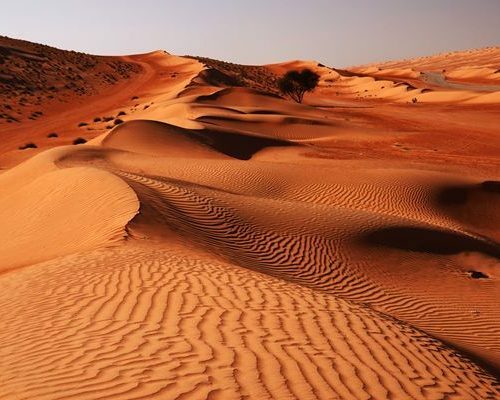 This 2-week adventurous self-drive trip will take you through the UAE and Oman via various landscapes and sites. A blend of the traditional and the modern sides of the two countries will come your way, giving you a full picture of the two countries. 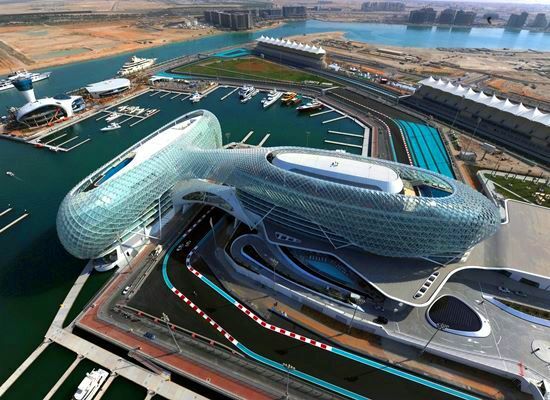 One can start the round trip in Dubai, Abu Dhabi or Muscat. We have included interesting tips along the way, for your guidance. Given that it is a self-drive trip, the entrance fees to various sites are not part of the package, but can be done at your request. This trip can also be done with a private driver. Today you will be met at the airport where you can pick up the car. After check-in, start with Bastakiya in the old part of Dubai. Discover and admire old wind-tower houses, restored merchant buildings, cultural centres, cafes and art galleries. Cross the Creek on an abra to the other side. Smell the spices while stepping into the narrow alleys of the Spice Souk in Deira and have a look at the nearby world largest Gold Market. 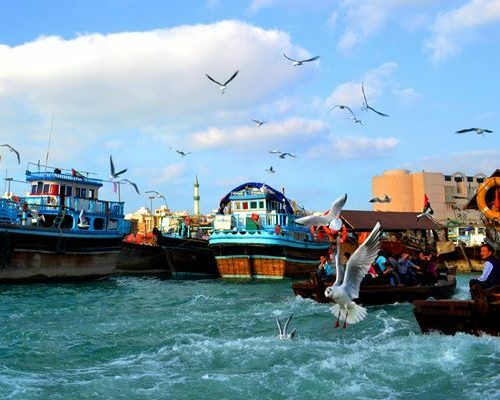 For the early birds we recommend a visit to the bustling Deira fish & vegetable market this morning. After the breakfast visit the newly opened Etihad Museum in Jumeirah. 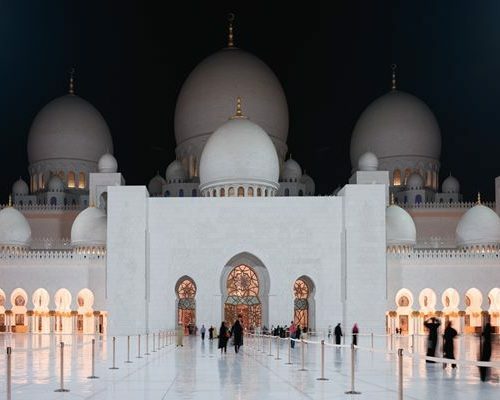 Pass by Jumeirah Mosque and Burj Al Arab to reach the man-made island Palm Jumeirah. Later on visit Dubai Marina, one of the best modern districts in town. 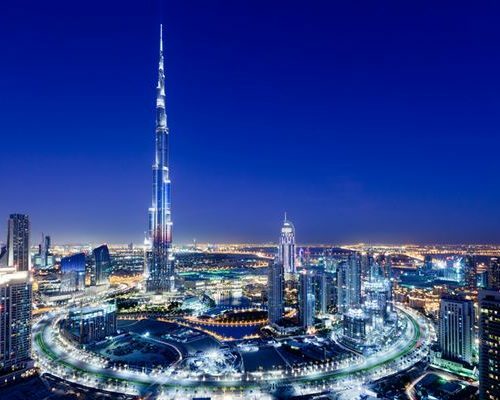 Continue to Dubai Mall, past the Aquarium to Souk Al Bahar and get a closer look at Burj Khalifa, the highest building in the world. 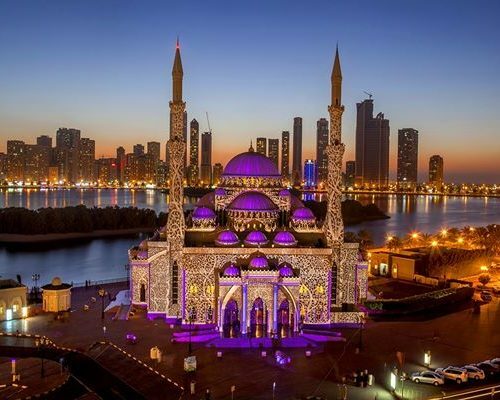 Leave Dubai in the morning and drive further north to Sharjah to visit the amazing Museum of Islamic Civilization. 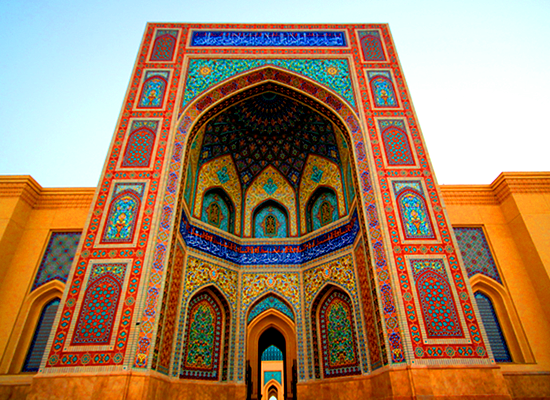 The renowned museum exhibits over 5,000 artifacts of the Islamic world. Pay a visit to Souk Al Arsah, probably the oldest market in the UAE, once a meeting place for the bedouins. Tip: Visit the abandoned village of Al Jazirat Al Hamra, located between Umm Al Quwain and Ras Al Khaimah. There is a touch of myth and mystery there. Drive further north from here until you reach Oman. 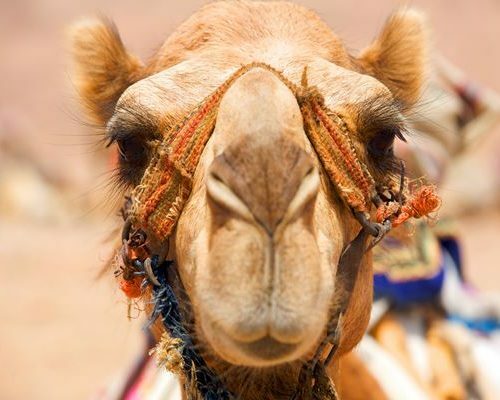 Today choose between going on a full-day dhow cruise to the fjords (optional) or going for an off-road adventure. Visit the picturesque fortress of Khasab. 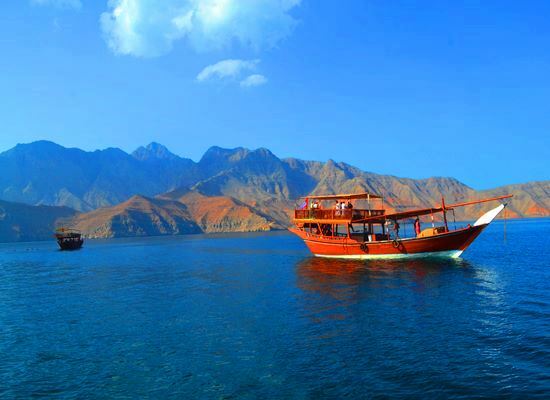 It was built by the Portuguese in the 17th century to control the maritime trade in the Strait of Hormuz. Later take a breathtaking trip to Jebel Harim. 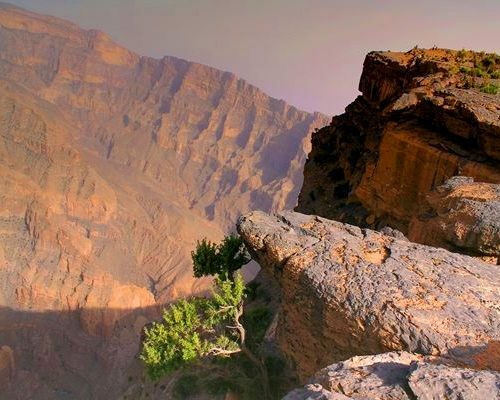 Enjoy incredible vistas, including terraced mountain villages, lush acacia forests and wadis. 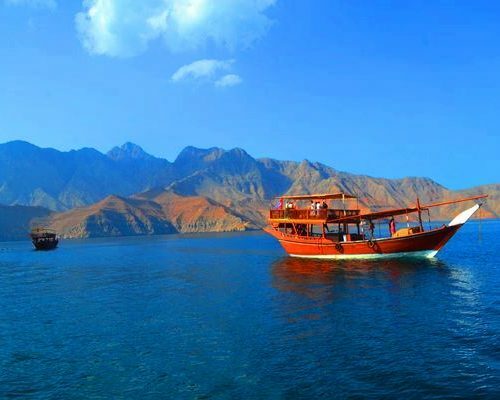 Leave Musandam this morning and head to Ras Al Khaimah. Stop at the hot mineral springs in Khatt. Continue to Ajman, passing by Hassa Buweid Castle and reach the mountain village of Masafi. Shop at the local market offering crafts, pottery and carpets as well as fruits and vegetables. Visit Al Bithna Fort and Al Hefaiyah Mountain Conservation Centre. The centre hosts thirty different mountain species and offers unique viewing opportunities. Cross the border to Oman. In the morning, make a stop at the magnificent mosque in Sohar and the small castle in Al Hazm, situated in beautiful groves of palm trees. Later on reach Rustaq with its fortress and the hot springs of Ain Al Kasfah. Continue to Nakhl. Explore the fortress and the nearby hot springs. 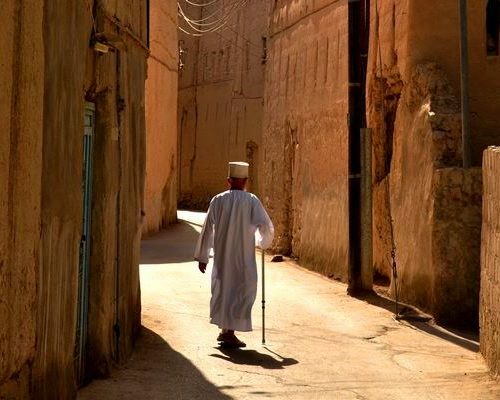 Tip: Make a quick side-trip to Wakan, a picturesque mountain village, and discover how the locals are still using an ancient irrigation system. Walk up the 700 steps leading to the top of the mountain for breathtaking views. Later on drive to Muscat. 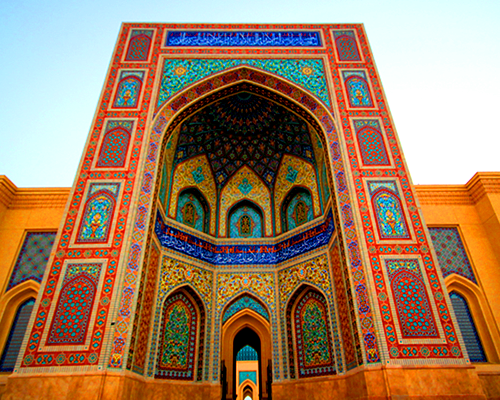 Start the day with a visit of the Grand Mosque, the fifth biggest in the world. After drive to Al Alam Palace and see the newly opened National Museum. Later head along the corniche to Muttrah Souq, the oldest in Oman, where the air is filled with the smell of frankincense and sandalwood. In the afternoon visit the famous perfumery Amouage. Before returning to the hotel, get local at the colorful Mawaleh fruit & vegetable market. 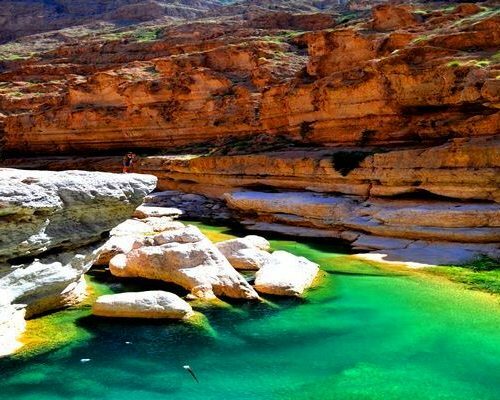 In the morning follow the scenic coastal road until Wadi Shab where you can take a walk inside the canyons and have a bath in the green crystal clear pools. Later on explore Sur, a city that was once known as an important trade hub. Visit the dhow factory, where the typical Omani wooden ships are still built in the traditional way without nails or glue. Continue driving to Ras Al Jinz to witness green turtles coming onto shore to lay their eggs during the night (accompanied by the rangers). 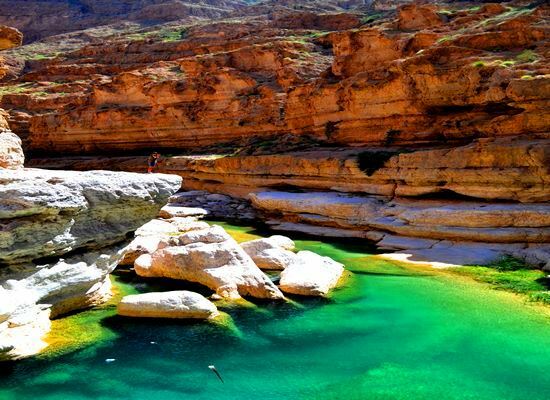 Today’s highlight is the large palm-lined ponds with turquoise and sapphire waters of Wadi Bani Khalid. Drive further to the entrance of the desert. Enjoy a drive through the breath-taking dunes and admire how they change their forms with the blow of the wind. 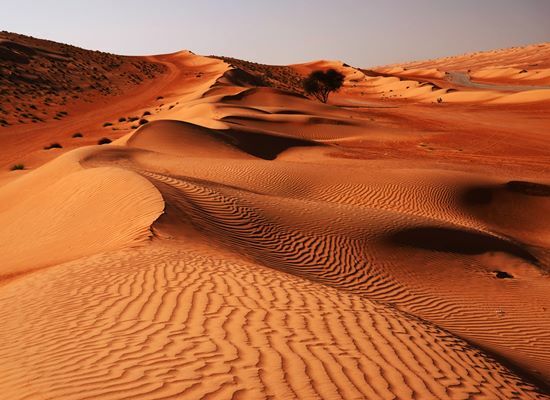 Today the Wahiba Desert still accommodates bedouin tribes famous for their legendary hospitality. When arriving at the camp climb up a dune for the sunset. Today start driving to Nizwa. On the way stop in Ibra to explore the abandoned ruins. Further on stop at Birkat Al Mauz for a magical viewpoint. Stroll through date plantations and discover the falaj irrigation system. Reach Nizwa in the afternoon. 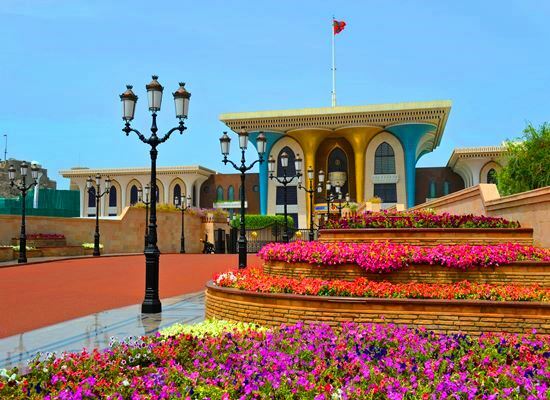 One of the oldest cities in Oman, with a magnificent fort and the charming souq. Nizwa is the religious centre of the country. Your first stop today is at Jabrin Castle. Not far from here is Bahla – Oman’s oldest and biggest fortress, a UNESCO Heritage Site. 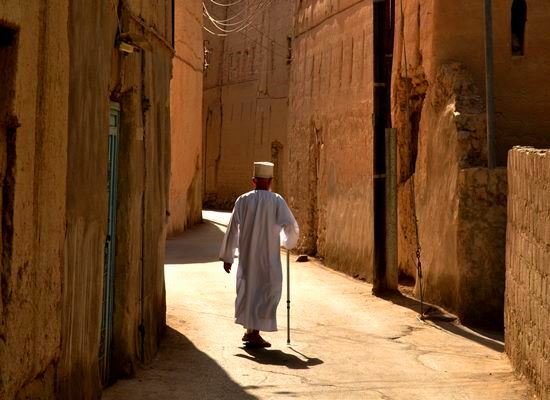 Later on arrive at Al Hamra, an old restored village. Tip: Pay a visit to Bait Al Safa, a renovated centre run by women of the village who demonstrate old practices such as milling, colouring, cooking and more. Continue up to Jebel Shams, the highest mountain of the Arabian Peninsula(3009m). Enjoy the adventurous drive with impressive views of the canyons. After an early breakfast with amazing view drive to the 5 thousand year old Ibri village to visit the beehive tombs, another UNESCO Heritage Site. After reaching Al Ain make a stop at the local camel market. Come closer and be a part of the negotiations. Al Ain Oasis is spread over 1,200 hectares in the heart of the city. 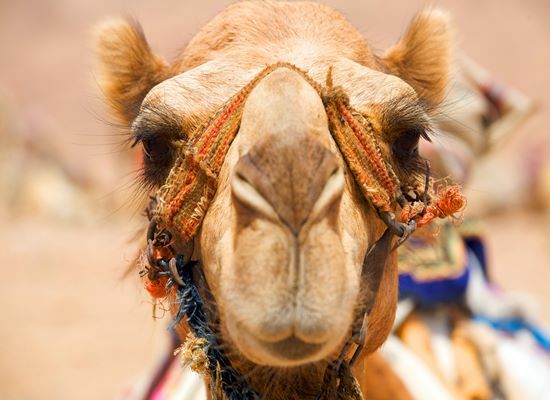 Find Qasr al Muwaiji, an impressive building overlooking an oasis. It was used as a diwan and Sheikh Khalifa spent most of his youth there. Today visit Al Ain Palace Museum, an old fortress which was the residence of the late ruler, Sheikh Zayed. See how the royal family lived. 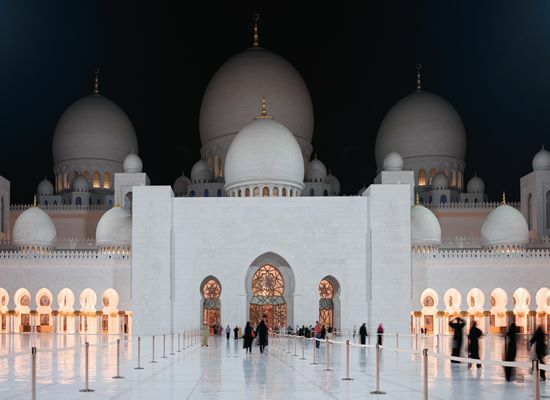 Once in Abu Dhabi, visit the majestic Sheikh Zayed Mosque, the fourth largest in the world. 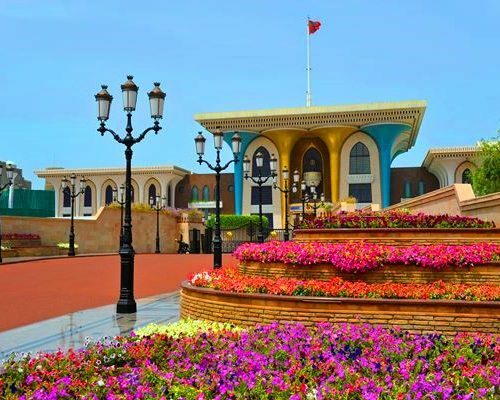 Stop at the Women’s Handicraft Center, a showcase of local arts and crafts. 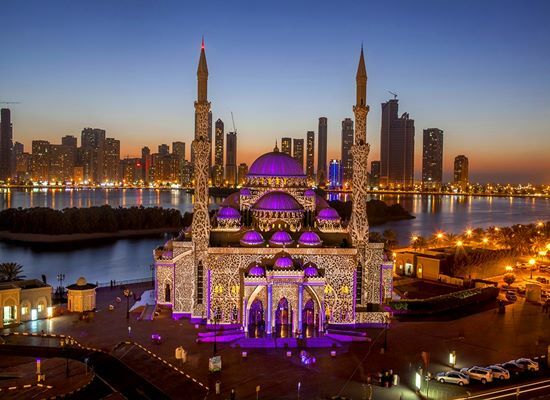 In the evening, take a walk along the Abu Dhabi Corniche leading to one of Abu Dhabi’s greatest landmarks – Emirates Palace. 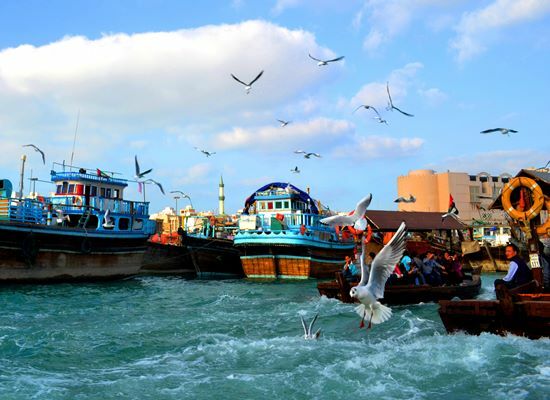 Tip: Abu Dhabi is home to more than 200 natural islands. Explore the scenic city by boat or by kayaking through the mangroves. 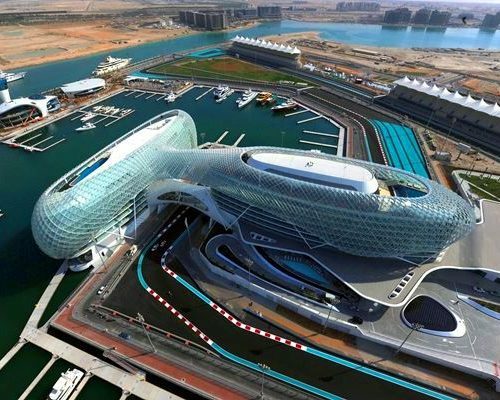 Before your departure, visit Manarat al Saadiyat, a newly opened arts and culture centre showcasing upcoming developments in Abu Dhabi or visit Yas Marina Circuit, the venue for the Abu Dhabi Grand Prix, and the nearby Ferrari World. Tip: Abu Dhabi Falcon Hospital offers an extraordinary tour where you get a deep insight in the traditional heritage of falconry. Worth paying a visit. 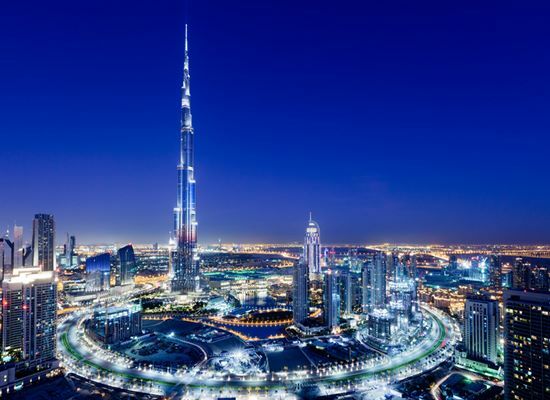 Afterwards drive to Dubai Airport where you will return the rental car. International flights are not included. You can get return international flights from £300 per person (depending on the entry point). Do ask us for advice. Alternatively we can book the flights for you but a booking fee may apply.